The DKN chromed solid dumbbell bars are 35cm (14”) long, made from solid steel with a chrome finish and are supplied as a pair. The dumbbells have spinlock collars which not only make plate changes quicker but also improve safety. 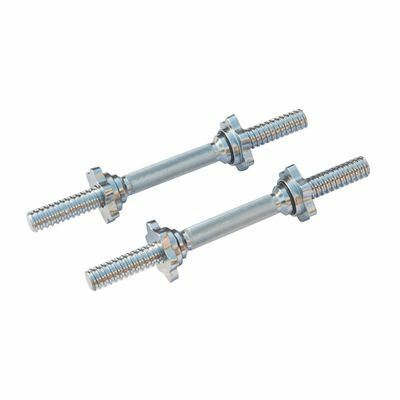 for submitting product information about DKN Chromed Solid Dumbbell Bars - Pair We aim to answer all questions within 2-3 days. for submitting product information about DKN Chromed Solid Dumbbell Bars - Pair. We aim to answer all questions within 2-3 days. If you provided your name and email address, we will email you as soon as the answer is published. for submitting product review about DKN Chromed Solid Dumbbell Bars - Pair.